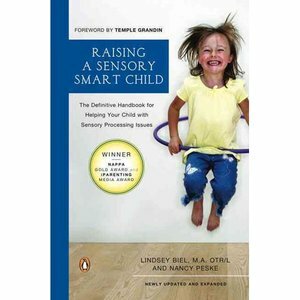 Raising a Sensory Smart Child is written by a pair with strong ties to children with sensory processing disorder (SPD): a pediatric occupational therapist and a parent of a child with SPD. While the book does dive into some of the neurological processes behind sensory processing, the main focus is to provide practical guidance for parents, caregivers and service providers of children with SPD and related difficulties. Everyday sensory solutions are presented in quick, easy to read lists, with topics such as trimming nails, expanding food preferences and how to navigate dentist appointments. The book also includes chapters highlighting developmental milestones, nutrition, sleep and stress, and advocating for your child at school. Perhaps the best part about Raising a Sensory Smart Child is that it is not a book which must be read cover to cover, but it can act like a playbook to provide guidance for the area of difficulty your family is currently facing. 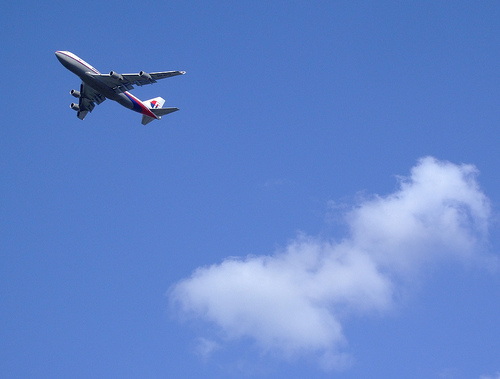 Many parents today must travel as a part of their job. For children on the Autism spectrum, or for those with sensory processing difficulties this change in routine can be hard. Here are some tips to help the next time a parent is away. Think about the everyday routines that this parent participates in with your child. Before the trip, be mindful of what roles that parent fills during the morning routine, after-school activities, dinner and bedtime routines. Use a calendar to clearly mark the day the parent is leaving, the days they will be away and the day they will return. Or, use a “count down” activity (search online for Christmas or other holiday countdown crafts), such as moving marbles from one jar to another. Hang up a map of the place(s) the parent is traveling to. Use technology to your benefit. If possible, use Skype, an email or a phone call. Have the traveling parent take a picture of themselves each day on their phone and send it. Prepare your child for potential travel delays. Talk about the return time (or even day) as a flexible target. Help your child write down funny things that happened, or save school work they are proud of to show the parent when they get back. Let your child sleep with a shirt or pillow that belongs to the parent. Familiar objects can be comforting. Games We Love: Rush Hour Jr.
Why We Love It: The perfect blend of visual perceptual, fine motor and motor planning skills, Rush Hour is a favorite for staff and children. The concept is simple: place the cars on the grid to match a picture, then slide the cars to allow the ice cream truck to drive out the door. There are 40 cards of increasing difficulty, with each level building on the problem solving lessons learned in previous scenarios. Puzzles can be solved again and again because it is practically impossible to remember the solution sequence. This is a great activity for children who get lost in multi-step tasks and those who need to work on their problem solving skills. Take the game a step further by hiding the pieces in a bucket of dried beans, creating a scavenger hunt around the room or having your child “deliver” the pieces little by little by riding their bike, doing animal walks or even an obstacle course. Also, the solutions are printed on the back of each card. If your child is learning the concepts of left and right, give the instructions to solve the card and have your child follow them. Why the Kids Love It: This is one of the most requested games in the clinic. Younger children enjoy the concept of rescuing the ice cream truck, and older children enjoy the challenge of harder levels. 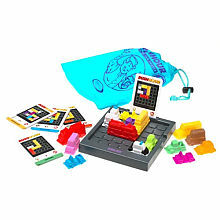 The game pieces are brightly colored, but not juvenile. There is a real sense of mastery as the child moves from “Beginner” towards “Expert” levels. Our Age Recommendations: Younger children (4-5) can copy the grid like a puzzle. Older children (9-11) with visual perceptual and motor planning difficulties may benefit from this “Jr” version of Rush Hour before moving to the more advanced edition. Available in toy stores and online. 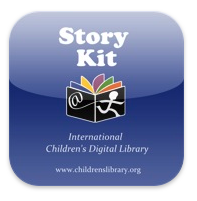 Why We Love It: This app allows you to customize a story utilizing pictures you have taken from your iPad or iPhone. The types of stories that can be used are sequential stories that incorporate specific steps needed to complete tasks, review of past events to share with others, and pictures within the story that help teach specific concepts. An example of a sequential story would be showing the steps needed to brush teeth. The child can be the “actor” for the story and can then utilize appropriate expressive language skills to describe the story. An example of reviewing past events would be to take pictures of your child at the event. The child can then share what happened by describing the pictures and showing them to another person. This app can also help teach specific concepts by taking pictures of specific verbs in action, prepositions (i.e. the book is on the table and the blanket is on the bed). Why Kids Love It: They get to be the “star” of their own personalized books. Children can make greater connections to the activity because they have such a big role in it’s creation. 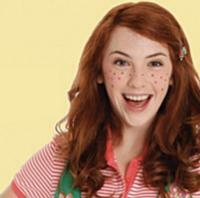 The Downtown Cabaret Children’s Theater will present a Sensory Sensitive Performance of Freckleface Strawberry, a musical based on the children’s books by Julianne Moore on Sunday, March 3 at 5:30pm. This performance is designed to allow children on the autism spectrum, or with other sensory difficulties, to enjoy a live theater experience. The lights will remain at a low level, the sound will be turned down and audience members will be allowed to get up from their seats if needed. The performance will last approximately one hour and will not have an intermission. For more information regarding the event, visit Broadway World – CT. For tickets, visit Downtown Cabaret Theater. (Please note there are several performances of this musical, but only the Sunday, March 3 5:30pm show is designed with those with sensory needs in mind). Enjoy the show! This activity was found on Pinterest and we had to share! Tape yarn at different heights and angles in a hallway or between two pieces of furniture. Have the kids maneuver their bodies from one side to the other without being zapped by a “laser beam”. We’ve set this up in the clinic and the kids absolutely love it. This activity is a great way to work on postural control, body awareness and grading of body movements. Valentine’s Day is fast approaching. Want to take advantage of this opportunity to help your child practice fine motor skills, such as coloring, cutting, stringing and handwriting? Here are some great websites with ideas for Valentine’s Day crafts, cards and more.